A litre of regular gas was selling for about $1.36 per litre the day PC Leader Doug Ford made his pledge to cut the gas tax. 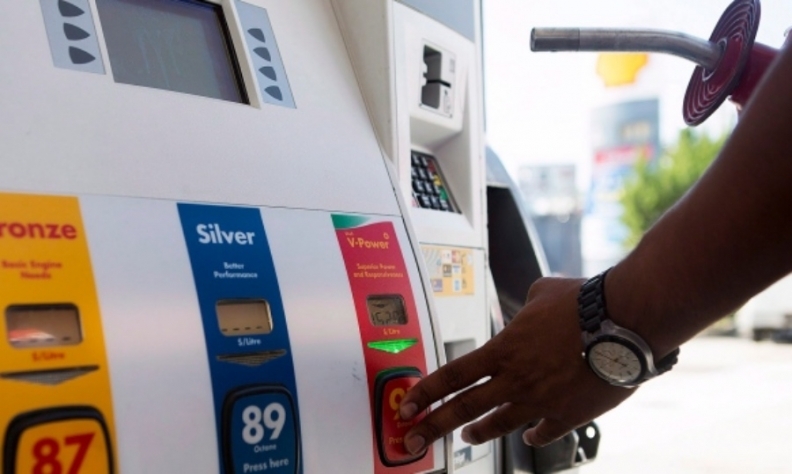 Ontario Liberal Party Leader Kathleen Wynne says people won’t notice the Progressive Conservatives’ promised 10-cent per litre discount at the pumps if the party wins the election. Auto dealers in the province beg to differ. PC Leader Doug Ford on Wednesday pledged that if his party is elected, it will cut the 4.3-cent carbon tax on every litre of gas and also reduce the provincial fuel tax by 5.7 cents per litre. “These are real savings that will leave money in your pocket,” Ford said Wednesday while standing at a Husky gas station in Oakville, Ont. A litre of regular gas was selling for about $1.36 per litre that day. Wynne almost immediately disagreed with Ford’s claim. “I know he's saying that he'll take 10 cents out — we know that most people won't feel that,'' Wynne responded later in the day. But, the Trillium Automobile Dealers Association, which represents about 1,100 new-vehicle dealers in Ontario, said on Friday that Ford’s proposal will make owning a car more affordable. An overwhelming majority of Ontario families – 83 per cent – say the family car is essential to their household, according to a Nanos survey previously conducted for the dealers association. “Tax relief for such an important commodity like gasoline should be a priority for all governments,” Bourgon said. The association says it will be advocating to all parties in favor of policies that support the automotive retail industry by lowering the costs associated with vehicle ownership and operating a dealership. Ford’s proposal would mean would mean $1.2 billion in lost revenue for the province. Ontarians head to the polls June 7.